As far as CBD brands are concerned, Hemp Bombs is the new kid on the block. To say they’ve made a major impact in a short amount of time is an understatement. When I decided to buy Hemp Bombs products so I could make a HempBombs review, I was overwhelmed by the amount of product they offer. The sheer amount of products offered at Hemp Bombs is unparalleled. Simply put, they take imported organic hemp from Europe and put it through the best CO2 extraction process on the planet. By initiating this process, they are able to deliver some of the top CBD products available today. And the results are so astonishing that they’ve guaranteed that their products are free of pesticides, heavy metals, and other unwanted harmful substances that could tarnish their reputation and your health. Not only does Hemp Bombs live up to the strictest European standards, they also grant independent third parties the opportunity to test their products. Even better, they share the results of these tests on their website to prove they live up to the high standards they’ve set. This is very impressive to say the least. This company really set itself apart from the rest in this space. Even though they recently entered the market in 2016, Hemp Bombs is considered one of the top companies selling CBD products and they don’t plan to slow down anytime soon. Read our full Hemp Bombs review below to find out more. Everyone who’s tried these products rave about the quality, the strength, and the effectiveness of this brand of CBD oil. To put this in perspective, within the 4000mg bottle of CBD oil, it actually contains 3912mg of CBD, which is a massive amount. Breaking it down even further, each 1mg of oil is made up of 130mg of CBD. So anyone taking this to alleviate the symptoms of chronic pain will be happy because this is an ample amount to help with these issues. The cannabinoids in all of their products are extracted directly from primo top level hemp from European… i.e. the good stuff! And because it is such a potent amount, it only takes a drop or two of the oil held under the tongue for a few minutes to really begin feeling long lasting positive effects. As an example, we know someone taking Hemp Bomb CBD oil for their depression. She feels so much better after placing 2 drops of their oil under her tongue for a couple of minutes. It’s truly like night and day. One minute she’s depressed and a minute or three later and she starts feeling happy again. And it lasts for hours, which is the best part. She can actually function normally without worrying about her depression creeping in to ruin her experiences, which is so great! After thorough testing in a lab, it was determined that the 15 capsule count contains CBD in the amount of 2.45%, or to break it down further, each gram is made of 25.18mg of CBD. We have another friend who doesn’t like vaping in general, and to make matters worse, she doesn’t like the way CBD oil tastes. This made her the perfect candidate to test CBD capsules from Hemp Bombs for her anxiety issues. We gave her a 15mg capsule to start just to see how it made her feel. It took about an hour to kick in and really start working. But when it did, she said her body and mind felt relaxed and her anxiety problems weren’t bothering her while the CBD was flowing through her system. Now she takes CBD capsules regularly to help manage her anxiety and she loves the results. She feels like she’s been given her life back, and she deserves it because she’s a real cool chick. Guess what? She’s even sleeping through the night again, which is another thing panic and anxiety had stolen from her, but no longer. Vaping has caught on bigtime these days. People all over the globe have finally kicked their nasty ciggy smoking habits and chose vaping instead. Hemp Bombs recognized this opportunity like many others in the CBD market. Because of it, the good people at H.B. have released 10 different e-juice flavors like Sugar Cookie Kryptonite, Wild Blueberry Jam, and Roasted Columbian Coffee to name a few of our favorites. When they tested the 1000mg product in the lab, the results taught us that the e-liquid contained CBD amounting 19.46mgs per milliliter. The entire bottle has 1167mgs of CBD. Vaping these e-liquids helps control anxiety, quit your nicotine addiction, and enjoy life without the need to worry about getting lung cancer. They also sell pre-loaded CBD Vape Tank Cartridges with 125 mg, 300mg, or 1000mg amounts. To get the highest potency, pick the 1000mg option and the lowest potency is the 125mg cartridge. Hemp Bombs does offer additional CBD products. They sell CBD gummies with 15mg or 25mg strengths. And the packs contain 5 gummies on the low end and 60 gummies on the high end, with other options in between. We have a Hemp Bombs cbd gummies review coming soon. Next, they have their CBD pain rub. This solution works wonders by rubbing it on areas of your body that are sore. But the beauty of this solution is you won’t have to worry about getting hooked on it like the powerful opioid narcotics doctors typically prescribe for pain relief. They currently offer a 1oz tub with 50mgs of Pain Freeze and a 4oz tub with 200mgs of it. Their CBD relaxation syrup is also pretty popular. Just pour some in your favorite drink and before long you’ll feel relaxed, happy, and loving life. It comes in 100mg, 300mg, or 1000mg sizes. If you live in the US, the quickest and easiest way to get your grubby little hands on Hemp Bombs products is to order directly from their website. And if you aren’t satisfied for any reason within 30 days of purchasing, take advantage of their iron clad money back guarantee. You can get a Hemp Bombs coupon code, check back here soon and we’ll have one for you. Honesty, it’s rare to come across such high quality CBD based products on the web, but Hemp Bombs has really outdone themselves. Not only is the hemp extracted from premier European top shelf sources, they even have one of the best customer service teams on call 24/7 ready to answer any and all of your questions and concerns. We’ve tested quite a few of their products at this point and were very happy with the results. 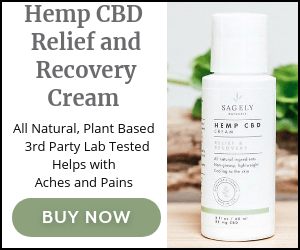 More than anything else, we discovered that their products were excellent for reducing or eliminating the signs and symptoms of depression, anxiety, and chronic and debilitating pain. But the best thing, by far, is their affordable prices. What’s the point of having outstanding treatment options if you can’t afford them, right? Thankfully this reputable company offers their products at a low cost so average people like you and I can pay for them without jeopardizing our finances. With that said, we highly recommend Hemp Bombs and all of their CBD products. Pick them up directly from the manufacturer by visiting their website.